No matter what it is, someone has to be the first person to do it. 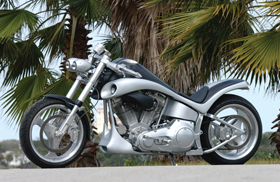 From throwing a horseshoe to building a Metzeler 280-equipped V-Rod, someone always wins the race to be first; in this case, it is Eurocomponents of Daytona Beach, Florida. 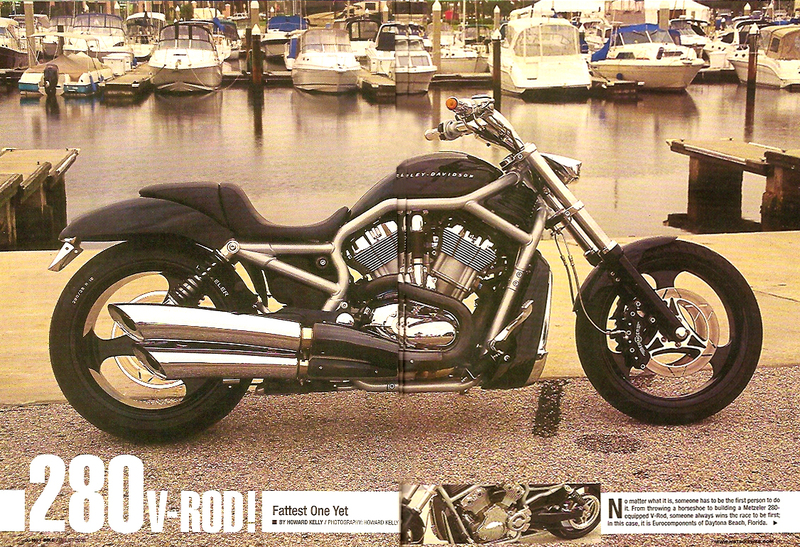 When the V-Rod was introduced in 2002, it was met with mixed reactions. Traditional Harley fans were put off by the water-cooled 60-degree motor, but the European countries and techno-gearheads loved it! 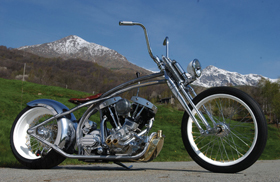 It represented a Harley that could run at triple-digit speeds all day long and be made to perform with the rest of the world’s performance bikes. However, not too many of either group were particularly wowed with the styling and stance of the technological marvel. 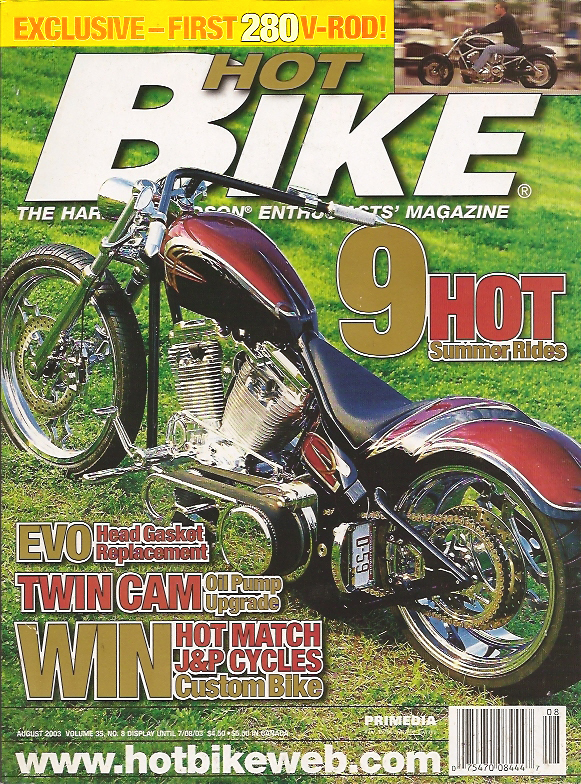 For a bike with over 100hp right from the factory, the rear tire seemed small, even though it was a 180. And then there was the whole solid wheel thing and the bare metal finish and…well, you get the idea. Recognizing a need for something a little different with the V-rod, the Eurocomponents/Speed-point team got their hands on the hottest tire in the world, the 280 Metzeler, and started taking the bike apart. 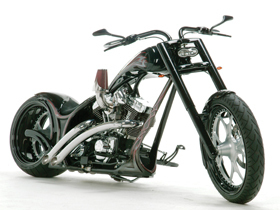 The very first step was to engineer a new swingarm that would accommodate 280 and its 10.5-inch wheel. Once that was done, they came up with an offset front pulley and 1-1/8-inch belt, rather than trying to move the motor/transmission assembly over. Since they were doing all that work, Eurocomponents came up with a drive-side conversion for the V-Rod, which opens up the right side of the bike for clean viewing. In its prototype design, a P.M. caliper was used, but by the time you read this, Eurocomponents will have its caliper in place for the kit. Up front, Eurocomponents team did something a little unusual with the wheel – they swapped out the stocker for an 18×4-inch Eurocomponents wrapped in a 130 Metzeler. Then a pair of Beringer six-piston calipers and chrome rotors were installed to add that extra bit of flash to the front end. With the driveline sorted out, it was time to add some style to the 280-equipped monster. A new, wide rear fender with built-in LED taillight was designed, then it, along with the stock air box cover (which looks like the gas tank) and the front fender, were given a coat of glossy black paint. Breaking up the black is a small trail of white flames running down the center of the bike. Additional black paint was added on the lower fork legs, radiator shroud, and air intake vents. 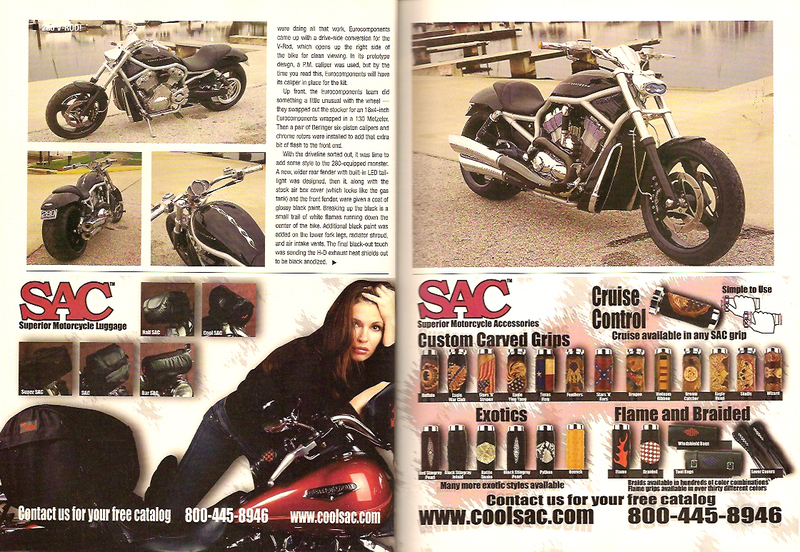 The final black-out touch was sending the H-D exhaust heat shields out to be black anodized. With the bigger wheels and tires in place, along with the cool black-out package, it was time to add a few small changes that would really set off the appearance of the bike. First, lower handlebars with billet Eurocomponents grips and turn signals in the end were installed. Then, the smallest change made the biggest difference up front: the stock headlamp was replaced with Eurocomponents mini-projection unit. The Eurocomponents V-Rod doesn’t jump out and scream for you to notice its changes, but the well-trained eye can’t help but catch all the subtle details. Maybe Harley will notice and change up the stockers!